What if I miss _______? I can’t take off work. It’s too much time and money. So if you’ve used any of the above, we’re on the same page and for me, it was nearly 5 years until I said, Yes. FOMO is even more real. But today, I’m giving you permission, a pass, a get outta town punch ticket! Your 5 (NEW) excuses for packing up that bag already and heading outta town with your girl gang! 1.) It’s Been AGES Since You’ve Seen Each Other (Alone). With all the loving responsibilities of being a wife, mother, homemaker, work duties and everything in between, It is very appropriate to tap out. At this rate, your family will appreciate the many hats you balance daily. SPA DAY IS A MUST! 2.) You Get to Become A Traveling Tourist. You cannot say you’ve never dreamt of visiting somewhere you’ve never been or sightsee a corner of the world! At some point everyone has dreamt of or pursued the art of wanderlust. Try cuisine you never thought you would, and make friends with locals or explore a town you’ve always wanted to! 3.) Reminisce On The Old Memories And Make New Ones. It’s Bound To Happen Anytime Friends Get Together. We Spent Hours In The Morning With Our Cups Of Coffee Out On The Balcony Chatting About EVERYTHING. We Could’ve Put A Talk Show Out Of Business! With The Old Memories Comes The New Which Means All The More Reason To Book. That. Trip. 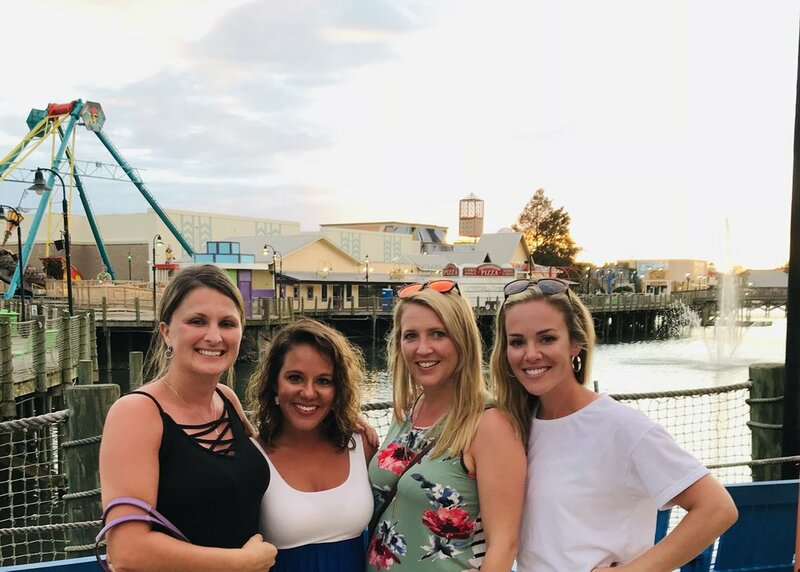 Dinner & Exploring Myrtle Beach! 4.) All about the Experience, Not Things. When We Look Back at Our Lives, What Do You See? Maybe Gifts That were Given, Maybe You Still Have them. For me, I See People and Places. Friends, Family And, Destinations. I see Memories Filled With Community. THAT is What Life is About: People. 5.) You Come Back Refreshed And Recharged. From having personally taken a trip with my girlfriends, it was honestly a breath of fresh air. Did I call my family daily? Of course. That long weekend reassured me that I made the right choice. My family was well-cared for (great job honey!) and the children had spent plenty of Quality time with dad and grandparents. It Was a trip well-taken! 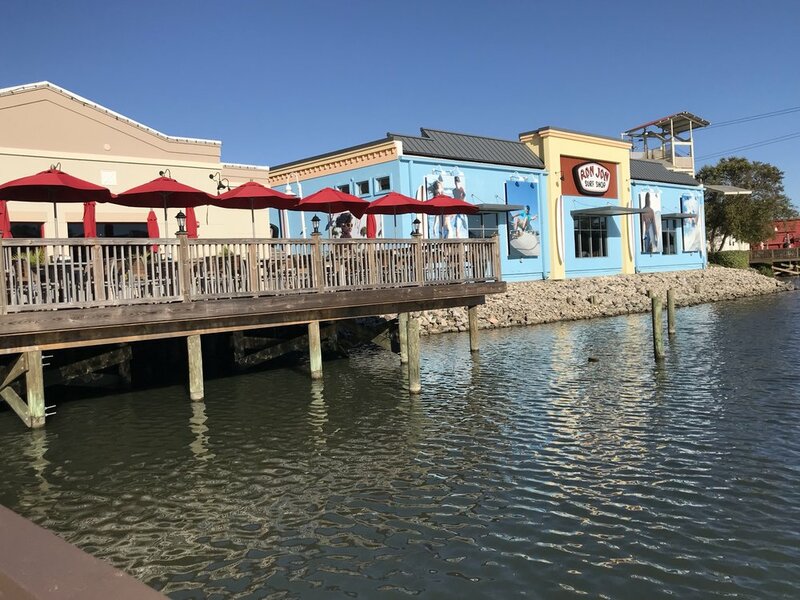 HERE ARE JUST A FEW PLACES WE LOVEDDDDD IN MYRTLE BEACH! Obstacle Course Down the Road from Our place! Light Houses are so Romantical! YOUR TURN! Share Below A Destination You’d Love to Visit!